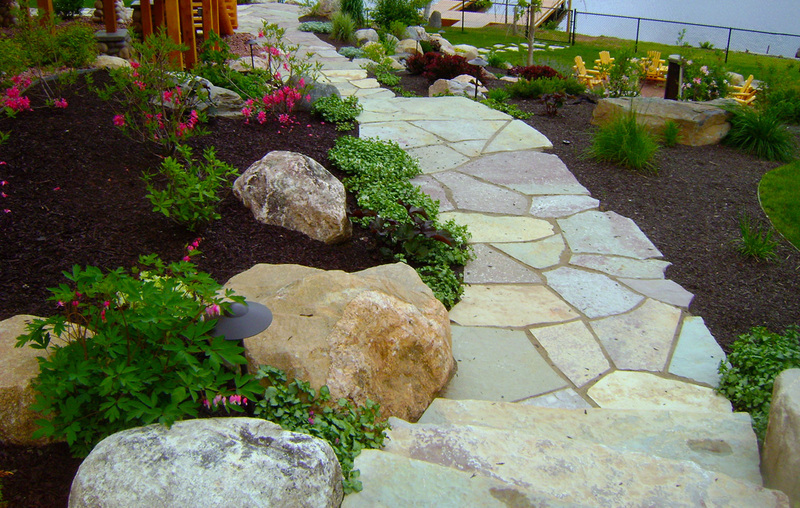 Custom Landscaping’s landscape maintenance programs are custom designed for each property, taking into account your vision for your property and your Northern Wisconsin or Upper Michigan landscape needs. Our professionally trained crew will make sure your lawn, garden, trees and plants are aesthetically appealing and growing strong! Mulch, a layer of protective material that offers natural weed protection, is necessary to prevent soil erosion, enhance moisture retention, and reduce soil compaction. Organic mulches offer the added benefit of improving the quality of your soil because as the organic mulch decomposes, it turns into food for your plants and trees. Custom Landscaping offers high-quality, natural mulches to enrich your landscape and protect your soil. Professional fertilizer applications ensures that your lawn and garden have the nutrients they need to grow properly. 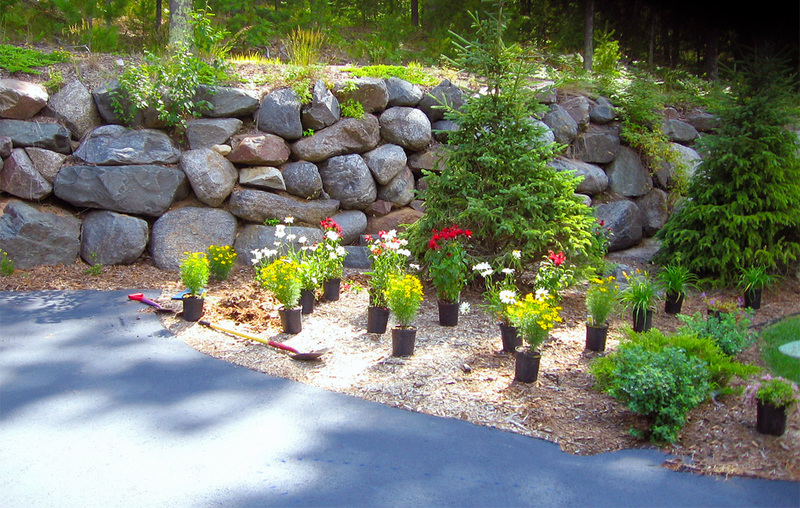 With our years of experience, we can recommend the best fertilizing program for your Northern WI or Upper MI property – just another perk to Custom Landscaping’s personalized service! Weeds develop and spread quickly through your lawn and gardens, making weed control time-consuming and irritating. Custom Landscaping uses both pre and post-emergent weed control products to prevent those pesky weeds from developing. With our professional weed control services, your garden and lawn will grow green and strong and be weed-free! With insect and disease management, we can protect your landscape from various fungus and invasive insects that can cause serious damage. 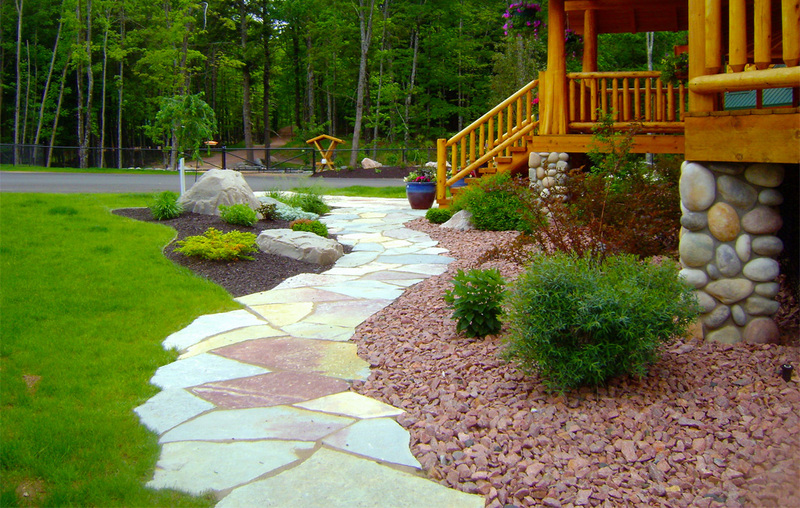 Trust Custom Landscaping to defend your Northern Wisconsin property from harmful insects and fungus! Trees and shrubs increase the natural beauty of your landscape but they require regular pruning and maintenance to stay healthy and attractive. Tree and shrub trimming prevents decay and infection from spreading, while improving nutrient intake. In addition, keeping dead branches trimmed from your tree’s can prevent damage to your home. Our expert landscapers and horticulturists provide comprehensive care and maintenance for your plant and flower beds. From perennial installation and care to seasonal flower planting and annual colorscaping, we will keep your planting beds weed-free and looking lovely all season! Custom Landscaping – Making your Landscape Flourish! Contact us today for your Northern WI or Upper MI landscape maintenance needs!